In the same month that Gordon Taylor insisted labour negotiations worked fine in football, Liverpool’s Fernando Torres sulked his way to a £50 million transfer to Chelsea. He has since “rewarded” the West London club with one goal. From the point in 1961 when a proposed PFA strike saw club owners buckle and abolish the maximum wage, footballers have exerted their power in negotiations, with owners willing to risk debts to comply. This summer has seen Manchester City’s Carlos Tevez and Arsenal’s Cesc Fàbregas trying to secure “dream” moves, while the measures taken by many other players in forcing transfers have revealed where the balance of power lies in the Premier League. Yet the actions of franchise-owners in America’s National Football League this off-season showed that the spiralling wage-debt situation is not a fait accompli. The past five months saw full-scale labour negotiations between the NFL and the National Football League Players Association that threatened to derail the 2011/12 season. On 25 July, a resolution was finally reached as a new ten-year collective bargaining agreement was ratified by the league’s owners and players. Many aspects of the deal, such as higher salary floors and lifetime health benefits, suggest the players “got their way”. However, the owners still demonstrated a level of resilience rarely seen from their Premier League counterparts. The trigger was a proposal by the NFL commissioner, Roger Goodell, to restructure the NFL season (which, since 1978, has seen teams play 16 regular-season and four pre-season games) to an “18-2” format. ESPN’s Patrick Hruby said this was “a win-win situation for players and owners”. However, a player backlash over increased injury risks, led by Baltimore Ravens’ Ray Lewis, triggered a high-profile argument. While fans were keen to see extra games, players felt the move was instead intended to benefit the owners financially and instigate a change to the collective bargaining agreement. The agreement, which the owners had taken steps to renegotiate as far back as 2008, also covered the terms of how revenue raised by the league was split between owners and players. The players received 57 per cent of the league’s $9 billion annual revenue and the owners wanted a greater share to compensate them for their investment, claiming payments to players were causing them to lose money. While players maintained their key concerns centred on health and safety and retirement provisions, what most fans saw were two, already very rich, groups arguing about how best to split their billions. The NFL commentator Peter King said at the time: “The fans are just mad and rightfully so. This is one of the most profitable sports in the history of the world and there’s enough money for everybody. In spite of the fans’ desire for a quick resolution, and both sides agreeing to extend collective bargaining agreement negotiations for an extra week, the argument turned into a legal dispute. The players made their power play on 11 March by decertifying the union, allowing ten players including Super Bowl MVPs Tom Brady and Peyton Manning to file antitrust lawsuits against the owners. For owners of Premier League clubs, this would normally be the point where they make some defiant statements to appease fans (“Ronaldo is not for sale at any price”, perhaps) before ultimately giving in to the demands of the players. The NFL owners, on the other hand, dug their heels in and ordered a lockout to bar players and coaches from attending training or meetings at their clubs’ facilities. The lockout ended up being the longest work stoppage in league history and the first to cause August’s pre-season Hall of Fame Game to be cancelled. The annual curtain-raiser is held in Canton, Ohio, and the week-long festivities around the game inject more than $1 billion into the local area, which will now be lost for this year. Don Boyer, who runs Legends Sports Pub and Grille in North Canton, said: “Sales over the weekend of the game are often 200 to 300 per cent up on a normal weekend, so the loss was devastating to us. This is one reason why NFL owners and players were ultimately willing to come to the table to seek a resolution – they have managed to stay more in touch with the “average” fan than those representing the Premier League. Goodell said the most important part of the agreement was that it “will afford a unique opportunity to deliver to fans an even better, safer and more competitive game in the future”. It seems as though English-based owners are willing to turn their back on fans because they believe new ones will continue to emerge. Yet owners are “bullied” more easily by players. Take William Gallas’ departure from Chelsea, for example. Chelsea gave Gallas a platform to establish himself as one of the best defenders in the world, and even after he told them that he wanted to leave for a “better” club, they offered him a new deal. Gallas then went so far as to go on strike and, even more unprofessionally, allegedly threatened to score an own-goal. His “punishment” was not a fine or a suspension, but a lucrative transfer to Arsenal. Some might argue that Roman Abramovich “stood up” to Gallas, but the Chelsea owner merely rewarded his poor attitude with a transfer, as others including Pierre van Hooijdonk, Dwight Yorke, Dimitar Berbatov and Javier Mascherano “achieved” elsewhere. In an effective negotiation, both sides should emerge as winners, as Minnesota Vikings’ Ben Leber said: “Both parties were rightfully trying to stand their ground. If football club owners had taken a similar attitude in 1961, then perhaps wages would not have rocketed to their current level (Yaya Toure, for example, reportedly earns £225,000 a week at Manchester City). While a salary cap may be unfeasible given the global nature of football and the opportunity for players to earn more in other leagues, a similar system could be implemented. The new collective bargaining agreement led to veterans including Derrick Mason and Adam Vinatieri being released by their teams before rejoining for lower salaries, and Cam Newton signing for considerably less than previous first-round draft picks. The key is that players accepted a lower salary cap in exchange for a better share of NFL revenue, and this could be a smart negotiating tool for owners of football clubs. If owners were willing to work together to set wages based on collective league revenue, then this might lead to a more representative and a more level playing field. A league-average wage based on revenue (as Uefa’s financial fair play regulations suggest) would prevent teams from stockpiling talent. Chelsea’s decision to sign Shaun Wright-Phillips for around £23 million in 2005, and prevent Arsenal from being able to do so, could not really happen in the NFL. That is not to say that NFL teams never offer players inflated contracts – the raft of expensive signings after the end of the lockout shows what happens if they deal on short timescales. New York Jets spent more than $50 million on wide receivers Santonio Holmes and Plaxico Burress – however, revenue limits meant they were forced to sacrifice Braylon Edwards. On the other hand, Manchester City signed Sergio Aguero in a deal reportedly totalling £85 million without selling any of their £200 million strikeforce of Carlos Tevez, Edin Dzeko, Mario Balotelli, Emmanuel Adebayor and Craig Bellamy. City’s transfer activity is more remarkable given the introduction of the financial fair play system, which dictates that clubs have three years to “break even” and spend according to how much they earn rather than the wealth of their owner. The underlying aim of Uefa’s financial fair play regulations seems to be to move towards the model that has made the NFL popular: one based on parity. Only four teams have won the Premier League since its inception in 1992. By contrast, 22 franchises have reached the Super Bowl in that time. The issue again comes back to owners of Premier League clubs, who don’t appear inclined to sacrifice their own position for the benefit of the competition, and the game, as a whole. NFL owners and players worked together to step back from the brink and agree a revenue deal that works for all involved. Perhaps it’s time those in the Premier League did the same. Both sports pamper their players and over pay them. But at least the NFL has a level playing field. I’m not sure English football can learn too much from this American model. The US is a huge land mass each franchise has such a massive natural fan base. But the foreign ownership issue would never arise in the NFL. Abramovic and the City Arabs would be told to do one by the NFL old boys club of owners. NFL players earn even more than British football players and have just held their sport to ransom so than can get their hands on more of the league’s money. I’m not sure what your actual point is. Gd stuff! There’s so much we can learn from the NFL, both in terms of redistribution of talent and money. It’s waaaaay more competitive – compare the virtual triopoloy of Premier League winners (only 3 clubs hv won it in 19 seasons excl Blackburn in 95) with the roll call of Super Bowl winners over the past 20 years. Match days are also a much better experience for fans – although they could do away with some of the never-ending stream of ad breaks! True NFL players earn more on average but they’ve just struck a deal for fairer pay across the league with top players sacrificing own salaries – can you imagine Rooney, Terry or Cole ever giving up their money to support League 2 players? We are very quick to dig out Footballers and suddenly jump on the NFL bandwaggon. Stop pretending these American ball players are anything but self serving millionaires. The League two wage argument is silly because there are only 30 odd teams in the NFL and no promotion so they are hardly helping out the little guy. They play a very short season and get paid stupid money. They threatened the whole sport with a strike to get richer. If the Premier League players ever threatened a strike ,the public in England would be slagging them. 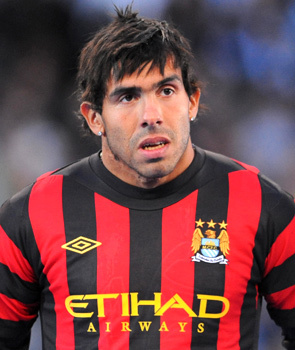 No one moans about Tom Brady, Rafa Nadal, Floyd Mayweather and Rory McIlroy making millions, why shouldn’t Tevez make silly money too? It is a fad and snobbery to bash the working class premier league footballer. Good luck to them I say. Although American Sports have but franchises, meaning for business opportunities a team could just uproot and re-locate to another city, they are very protective of ownership. How many ‘suitable’ owners of Portsmouth passed the Premier Leage Fit and Proper Person Test? Both sporting systems have their flaws, but the chance of a NFL franchise being a billionaire’s plaything is almost impossible . Especially if he/she has had no sporting background or affiliation. However on a somewhat pedantic note, if you can count him as a ‘striker’ City did actually sell Jo this summer. Maybe a better example would be Carroll to Newcastle, who haven’t seen any of the 35m promised by Ashley spent on transfers. Maybe it’s the media’s portrayal (Cliche Klaxon) but most fans seem to dislike or disagree with how their club is run, yet still support (financially) the club. That is a key point. Real Madrid, City, Chelsea etc don’t care about the game – just their own bloated squads. Teams from huge US tv markets like Dallas and New York can not gobble talent like Euro teams and it makes for better sport and better viewing. A grand article for a debut Mr Hook.